The original CSR Racing game was a big hit on mobile. After its release in 2012, it quickly sped to $12m of monthly revenues – a startling amount at the time, although less so now with Candy Crush Saga having made around $3.6m a day in 2014. Still, CSR Racing motored on to 130m downloads on iOS and Android, and was a big part of the reason why social games publisher Zynga paid $527m to acquire its British developer NaturalMotion in January 2014. Now under Zynga’s wing, NaturalMotion is working on two tentpole titles that it hopes will spark an upturn in the fortunes of the publisher, which never quite managed to translate its FarmVille-fuelled dominance on Facebook into mobile success on the Candy Crush / Clash of Clans scale. Dawn of Titans, unveiled earlier this year as an epic war-waging strategy game with mobile-friendly battle times and controls, is one of those. Now the other has been revealed too: CSR2, which is a sequel to CSR Racing. 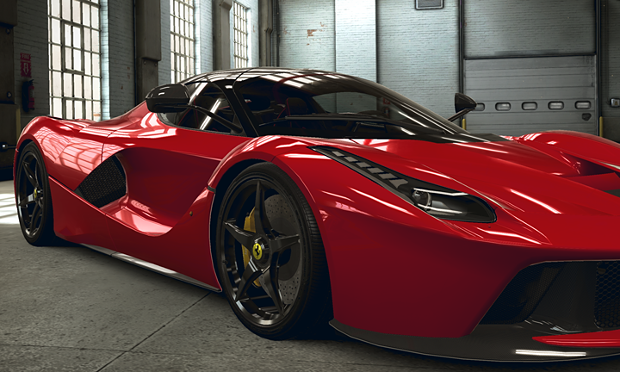 “This is not just the best-looking racing game on mobile, but the best-looking racing game full stop – including console. In some ways, we’re going beyond the quality of console,” says NaturalMotion boss Torsten Reil. This may sound like empty boasting – “console-quality visuals” has been an overused phrase in mobile gaming since before the app store era – but NaturalMotion’s history developing animation technology used for console franchises including Grand Theft Auto, Reil has weight behind his comments. The studio hired the former racing studios boss from console publisher Codemasters to be general manager of the CSR2 team, which includes developers and designers who’ve worked on the likes of Need For Speed, Burnout, Forza and DiRT on console. “It’s a console pipeline and console technology, but obviously a mobile game in terms of the play patterns,” says Reil, who has previously talked about his “Starbucks-line” rule of mobile development: that you should be able to play a session while waiting in the queue for a coffee. Mobile gaming is headed in an exciting direction, and we can’t wait get our hands on these new titles! Stay tuned at GamingCentral for more gaming news!